. 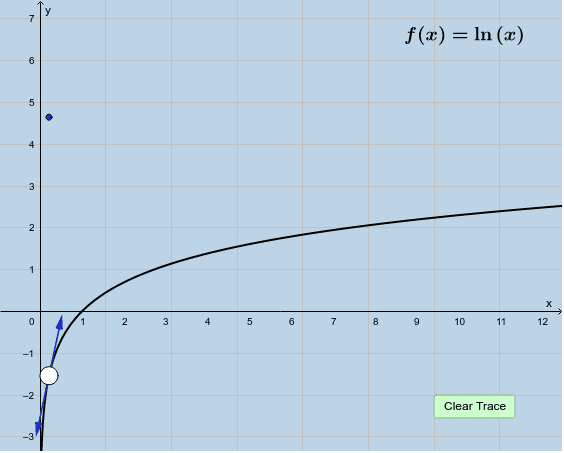 Drag the BIG WHITE POINT along the graph of this function to trace out the graph of the derivative of this function. Does this function look familiar? Interact with this applet for a minute, then answer the question that follows. never negative? Explain how you know. Use implicit differentiation to differentiate both sides of this equation (you wrote in your response for (2)) with respect to x. Then solve for y. What do you get? solely in terms of x.